WHO DESIGNS THIS STUFF? 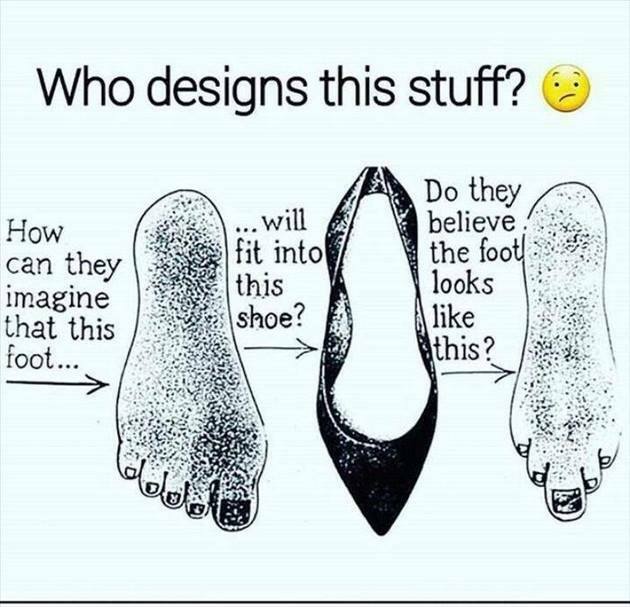 HOW CAN THEY IMAGINE THAT THIS FOOT - ProudMummy.com the Web's Community for Mums. WHO DESIGNS THIS STUFF? HOW CAN THEY IMAGINE THAT THIS FOOT... ...WILL FIT INTO THIS SHOE? DO THEY BELIEVE THE FOOT LOOKS LIKE THIS?